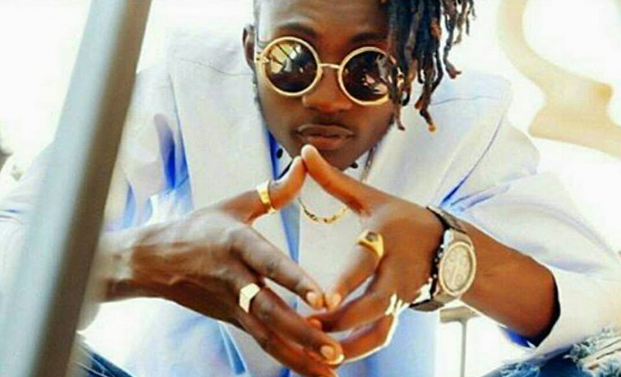 Probably one of the musicians Ugandans have been missing in this first changing industry is the popular dancehall artiste Richard Kasendwa popularly known as Ziza Bafana who for several months has been struggling musically. Ziza Bafana last released songs like joker, mavuunya which received less airplay and led to his untimely downfall. Therefore in an attempt to revive his music career, Flash Uganda Media has got infprmation that the akalulu hit maker has been signed to Delacosta Kingdom, a local production company known for promoting local talented singers and artistes. According to the latest news reaching us indicates that the record label has taken Bafana to studio and he has recorded anew song titled Nazaala which has started airplay and in clubs. According to Ziza Bafana, he says that Nazaala is one of the many songs off his Discipline album which he will release very soon. The singer insists that he is not struggling as many put it but he gave himself a break and he is now back. It should be remembered that several artistes have come back to the music scene after changing management and we hope that Delacosta changes and transforms Ziza Bafana as a big brand again. Ziza bafana is well known for his fast luganda songs which he released and left many wondering and praising his talent. Among these songs included hit songs like Pomini, akalulu, abantu baffe ft King Saha, Byagana ft the sensational duo Radio and weasel among several other songs. Bafana is also known for engaging himself in music wars with other artists like Bebe cool, Zanie Brown, Gravity Omutujju, Jose Chameleon among others. Surely Ziza Bafana is one of the highly talented dancehall artistes in Uganda and his comeback is a blessing to the whole music fraternity. Check out his new song Nazaala on online music platforms and radio stations. Previous articleTugende mu kikadde unveils Capital FM, Beat FM as official media sponsors. Next articleJose Chameleon and wife Daniella flaunt newly born baby, Xara.